Christmas is all about coming together, sharing gifts, stories and of course food. But what if meat isn't usually on your menu? Bring a large pan up to a moderate to high heat (the pan cannot be cold). 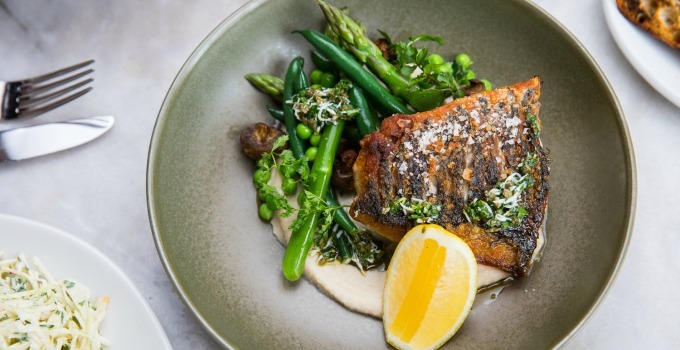 Plate the barramundi, crispy skin side-up atop white bean puree and alongside summer veg. Serve with dollops of pistou, chervil and lemon wedge to garnish. MERRY CHRISTMAS!